Mrs. Sammons supervises graduate clinicians in the field of speech-language pathology in the Baylor University Language and Literacy Clinic. She also serves as a clinical supervisor for Camp Success during the Summer I session each year. 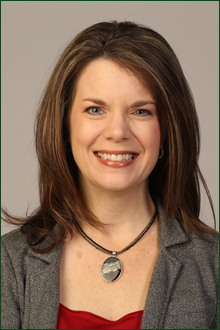 She joined the Baylor faculty in 2009 after a career of serving clients in school and rehabilitation settings throughout the state of Texas. Mrs. Sammons is passionate about the area of speech-language pathology. She considers it a tremendous blessing to have a part in helping each individual reach his or her optimal potential in the area of communication. Mrs. Sammons is married to Chris and they have been blessed with two wonderful sons. She enjoys serving in the young married's and children's ministries at First Baptist Church Woodway. Academic interests include language based reading disorders for children and adults, phonological sensitivity/word retrieval disorders and their effects on reading fluency, and memory and its effect on language skills.